After High Rock joined the First Empire in 1E 1029, the King of Evermore had a vast cemetery built outside the city to house himself and his descendants, naming it after Saint Pelin of Bangkorai Pass. Some of the empty mausoleums ended up put to other uses than burial. 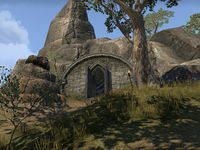 The Crypt of the Exiles is a tomb in central Bangkorai, south of the Pelin Graveyard containing undead. A Favor Between Kings: Recover a Redguard hero's memory stone. Ancient Armaments in Bangkorai: Collect fragmented arms and lift the curse by defeating the Thief-Lord. 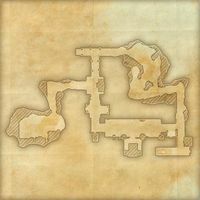 Explore and clear the Crypt of the Exiles. This page was last modified on 19 November 2018, at 05:19.